An alarming new study finds that potatoes have a hidden risk. Another day, another study finding that one of your favorite foods can do nasty things to your body — and this time, it’s potatoes. A new study has found that eating potatoes and other starchy foods puts one at a much greater risk of coming down with diabetes, particularly when it comes to pregnant women, according to a Sydney Morning Herald report. 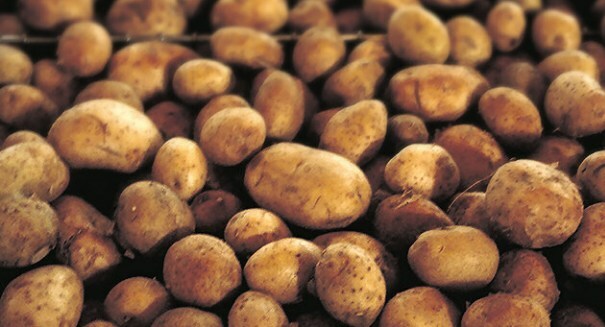 The study, published in the British Medical Journal, found that women who consumed more than five servings of potatoes per week before becoming pregnant were more likely to get gestational diabetes based on data pulled from thousands of patients over 10 years. But as with all alarming studies like this, there is one big caveat: there isn’t necessarily a causal link between eating potatoes and gestational diabetes. Rather, it simply underscores what scientists say about just about any foodstuff: moderation is key, eat your fruits and veggies, and you’ll be just fine. As long as a pregnant woman isn’t gorging on potato chips and mash, she shouldn’t have too much of a risk of gestational diabetes. That said, with so much of it out there in fast food form, it can be hard to avoid eating too much. “The researchers found that women who ate more potatoes had a higher risk of gestational diabetes,” reads a statement on the study. “They estimated reductions in gestational diabetes risk by substituting the following foods for two servings of potatoes per week: 9 percent for other vegetables, 10 percent for legumes, 12 percent for whole grain foods.